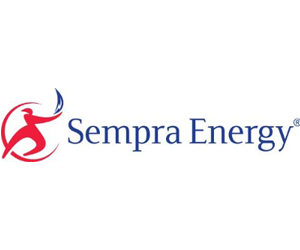 San Diego-based Sempra Energy on Thursday reported 2013 earnings of $1 billion, or $4.01 per diluted share, compared with $859 million, or $3.48 per diluted share, for 2012. The company’s 2013 earnings, or net profit, include $77 million in retroactive revenue obtained as a result of the California Public Utilities Commission General Rate Case decision for two Sempra utilities — San Diego Gas & Electric and Southern California Edison, according to a Sempra statement. In May, the commission voted 5-0 to approve the utilities’ General Rate Case, which sets their operating budgets for four years. The vote was delayed for a nearly year and a half, which meant that when approved, the utilities could start collecting 20 months of additional revenue that should have been collected from customers starting in 2012. “In 2013, we laid the foundation for our future growth, while continuing to achieve our financial and operational objectives,” said Sempra CEO and Chair Debra Reed. “We launched the first successful initial public offering for an energy company in Mexico. We also advanced several key projects, including Cameron LNG, new Mexican pipelines, and hydropower and electric transmission in South America. “Additionally, our California utilities resolved their 2012 General Rate Case and continued to make significant investments in critical new infrastructure, technology and safety programs for their customers,” she said.